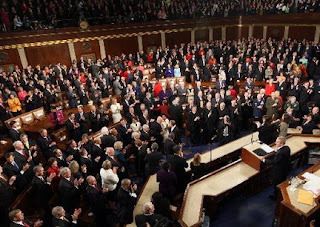 It's been several days since the annual State of the Union message and I am still not feeling well. 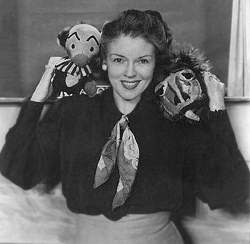 The sight of Kukla, Fran and Ollie -- the top three leaders of this here semi-United States -- invariably invokes in me a nausea not unlike the time I was forced to watch all of WHAT DREAMS MAY COME, the Technicolor pap smear that is definitely among the worst movies ever. As for me, I simply want to scream. 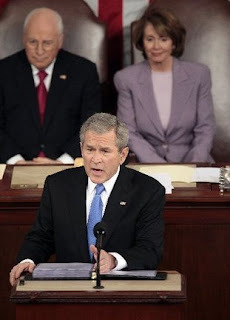 Let's face it, Bush, Pelosi and Cheney are imposters. They are not even close to being "leaders," nor are they the real Kukla, Fran and Ollie. It's as plain as black & white -- these three from the good old days of yesteryear would be better. And should they not be available, how about the Nairobi Trio instead?